Finland gets its name from early Roman references to the people there known as “Fenni” who occupied lands north of the Baltic Sea back in the early first century. Finns refer to themselves as “Soumalaiset” and their country as “Soumi.” This probably comes from the word “suo”, a Finnish expression for a bog or swamp. Finland is often called the land of a thousand lakes. There are nearly 200,000 lakes in Finland. The largest, Saimaa, is the fourth largest lake in Europe. Eighty six percent of the land is covered with forests including pine, spruce and birch trees, making it the largest forested area and biggest producer of wood in all of Europe. Most of the people live in the south, in the capital city of Helsinki, which is also the largest city in Finland. Finland‘s neighbors are Russia to the east, the Gulf of Finland and Estonia to the south, the Gulf of Bothnia and Sweden to the west, and Norway to the northwest. The Arctic Circle makes up a quarter of her territory. Finland became an independent nation in 1917. Prior to that Finland had been governed by Sweden and Russia. The people are primarily Finns, with a small, Swedish speaking minority along the coast and a tiny Lapp (Sami) group in the north as well as a few Roms (or Gypsies). The population is small with only 5.4 million people and it has one of the lowest population densities in the world; only 16 people per square km. It is, however, considered to be a welfare state with possibly the highest quality of life in the world. The country consistently ranks highest for best, small country, best, high-income country and best, educated country. In an attempt to encourage risk taking and entrepreneurship, Finland has a National Failure Day. October 13th is the day to free yourself from your failures…. What a concept! Interestingly, most of the Nordic countries rank high, perhaps the quality of life is better when one must get close to stay warm, enjoy a hot bowl of hearty stew and a cozy fire. The temperature in Finland varies greatly between seasons yet they do have four distinct ones. Finland is long from north to south, which means the weather can vary drastically in different parts of the country. The amount of sunlight changes with the seasons and the latitude. In summer, the daylight hours are long, lasting almost 20 hours a day in the south. In the northernmost part of Finland, the sun does not set at all in the early summer. For this reason, Finland is sometimes referred to as the land of the midnight sun. The Finnish winter is cold and usually the entire country is under a permanent snow cover. The winters are also much darker; the south gets only about six hours of daylight and in the far north, the sun will not rise at all for several weeks. This is known as the polar night. The Lapp people, also known as Sami people, are indigenous to Lapland, in the northern part of Finland. They can trace their roots in Finland back more than 2000 years. The government has gone to great lengths to keep their cultural identity alive. The Lapp’s were a nomadic people, known for their hunting and fishing skills, but mostly as reindeer herders. Today, many make their living in the tourism industry, as well as in farming. Five percent still make their living as reindeer herders. The area of Lapland, although very cold in winter, is a tourist destination. It is one of the best places on earth to witness one of the seven natural wonders of the world; the Aurora Borealis, also known as the Northern Lights. This phenomenon is most visible between August and April, when charged particles from the sun are blown towards the earth by the solar winds. Since the earth’s magnetic field is weaker at either pole, some particles enter the earth’s atmosphere and collide with gas particles. These collisions emit light that we perceive as the dancing lights of the north (and the south.) Magnificent colors; turquoise, orange, crimson reds, yellows, greens and purples, light up the sky in incredible brilliance. The colors shift and morph in wavy curtains like a lava lamp. Peak season for the lights is in the winter months, where you can stay in a glass, thermal igloo or an ice igloo to experience this amazing marvel. Seeing the Northern Lights is on many people’s bucket list and Finland is one of the most spectacular places to behold them. Sports are very important to the Finns and per capita they hold the record for the most Olympic medals won in both the winter and summer games. They also produce some amazing race car drivers in both rally racing (on closed off roads) and the ultimate series of Formula One. Three Finns have won the World Championship in Formula One. They are Mika Hakkinen, Keke Rosberg and Kimi Raikkonen. Perhaps their success can be partially attributed to their cold winters. Ice car racing is a passion and obviously learning car control on ice and snow could be an advantage. By the way when driving in Finland it is mandatory that you turn your headlights on, day or night. Also if you get a ticket, you will be fined based on your income, along with the severity of the offense. One very wealthy Finn was fined 170,000 Euros for driving 80 km in a 40 km zone, OUCH! 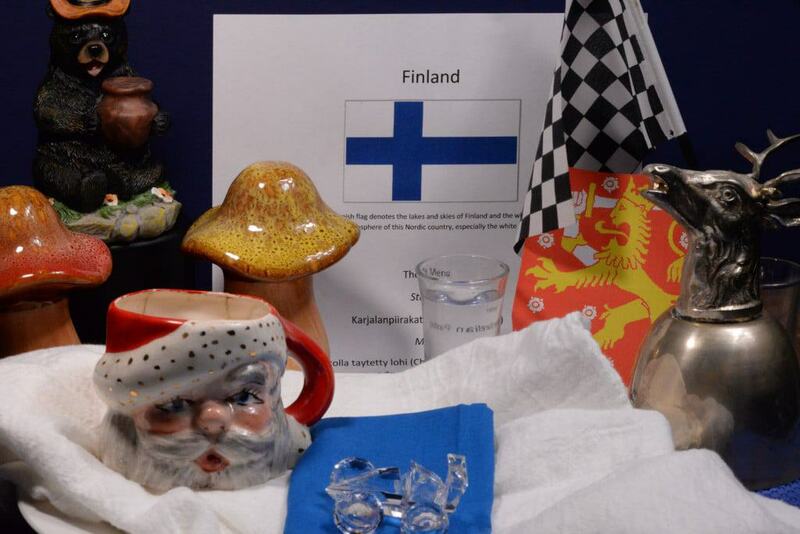 The Finns also get the record for hosting world championships. They have all kinds of contests, some of which are quite amusing, for instance: wife carrying, mobile phone throwing (this is likely due to Nokia being a Finnish company), mosquito catching, swamp soccer, boot throwing and air guitar, to name a few. Speaking of music, they also have the largest number of heavy metal, rock bands per capita, more than anywhere else. Kids do not start school in Finland until they are seven years old and it is not mandatory to give a student a grade until they are in the eighth grade. Teachers are paid to spend at least two hours a week building lesson plans and assessing student progress. They are taught Finnish, the official language in school but many learn English, Swedish, Estonian and Russian as well. Finland has freedom of religion but the majority of Finns are members of the Evangelical Lutheran Church. Parents decide on the religion for their children and when they turn 18 they are free to choose for themselves. 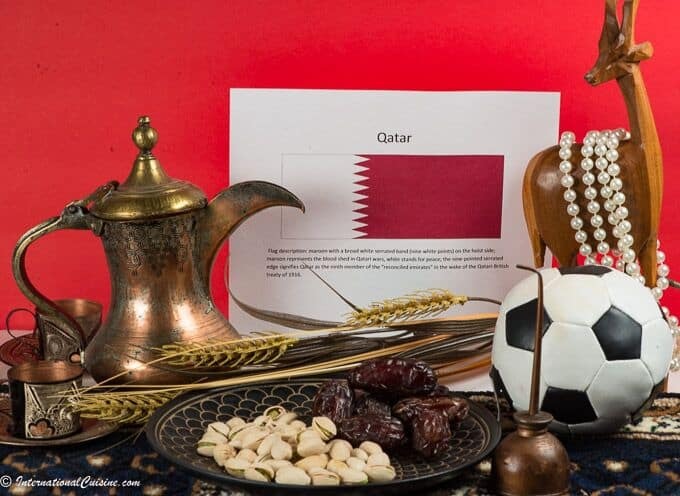 If there is a disagreement between the parents regarding religion, the mother gets to decide how the child will be raised before the age of one. Finland’s growing season is short and the cuisine is influenced by available local ingredients. In summer, berries are plentiful in the forest and it is a favorite past time to pick them and make jams to freeze for winter. Blueberries, loganberries and the most exquisite, cloudberries, are some of the favorites. 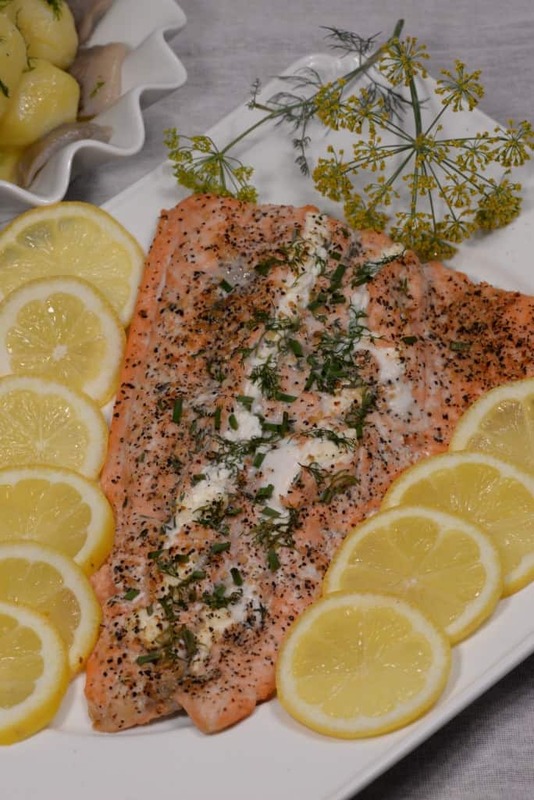 Fish is also abundant with herring and salmon being very popular. Normally fish is served with potatoes, beets and of course, rye bread. They eat hearty in Finland, especially in winter, enjoying all sorts of stews and pies made with beef, pork or fish and filled with root vegetables and cabbage. Reindeer, served with mashed potatoes and topped with loganberries, is one of their most wholesome meals. Reindeer meat is high in B-12, Omega-3, Omega-6 and is very lean and healthy. The Finns have come a long way in changing the poor reputation of their cuisine. The prime minister of Italy, named Bescolini, made a remark that Finland had the worst cuisine in the world, even worse than England! In 2008, New York held an International pizza contest in which Finland’s Kotipizza chain, won first place. Kotipizza’s motto is “Pizza, Love & Understanding.” Koti, in Finnish, translates to “home.” The prize went to their smoked reindeer pizza, which they proudly named the Bescolini, to mock his disparaging remark. 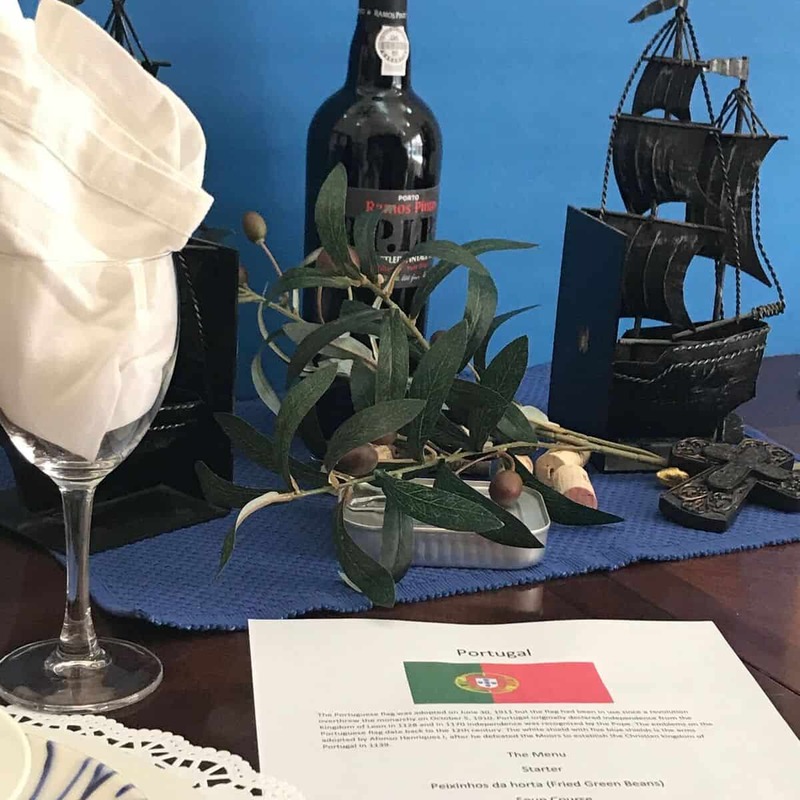 We decorated the table in the colors of the Finnish flag; blue and white. The blue color on the flag denotes the lakes and skies of Finland and the white color represents the snowy winters of this Nordic country. We used a checkered flag and a small race car to honor their car racing heroes. We, of course, had to include Santa Claus in our decor, since that is where he lives and added a brown bear, the national animal that makes the forests their home. Mushroom salt and pepper shakers completed the table setting as mushroom foraging is another loved pastime there. We began the meal with a toast of vodka, a beloved drink in Finland. We said,”Kippis,” which means “Cheers” in Finnish. 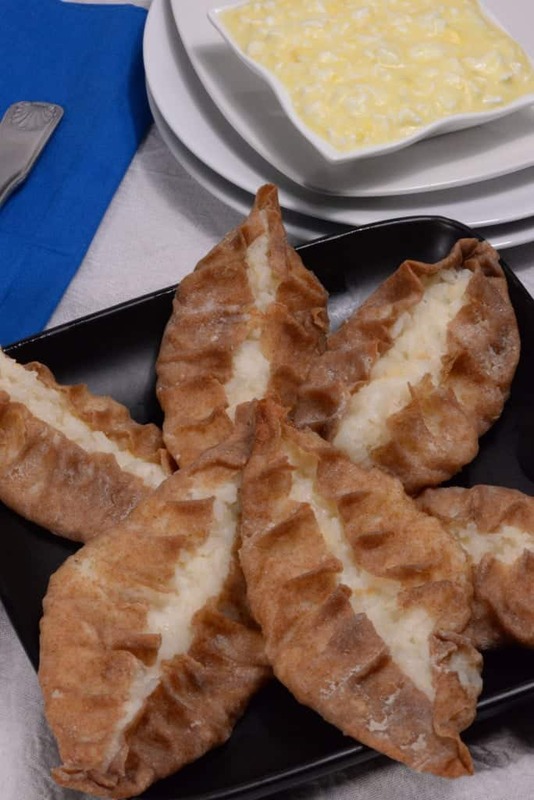 The first course is considered the national dish and called Karjalanpiirakat (Karelian Pasties.) It was named after a poet from the fifteenth century. The dough is made from rye flour and stuffed with a delicious creamy rice (or it could also be stuffed with a potato mixture) and baked. It is then served with egg butter on top. Egg butter is a mixture of butter and chopped, hard boiled eggs. It is one of the most popular innovations in Finnish cuisine. Yum! The main course, was an amazing cheese and herb stuffed salmon. It was delicious. 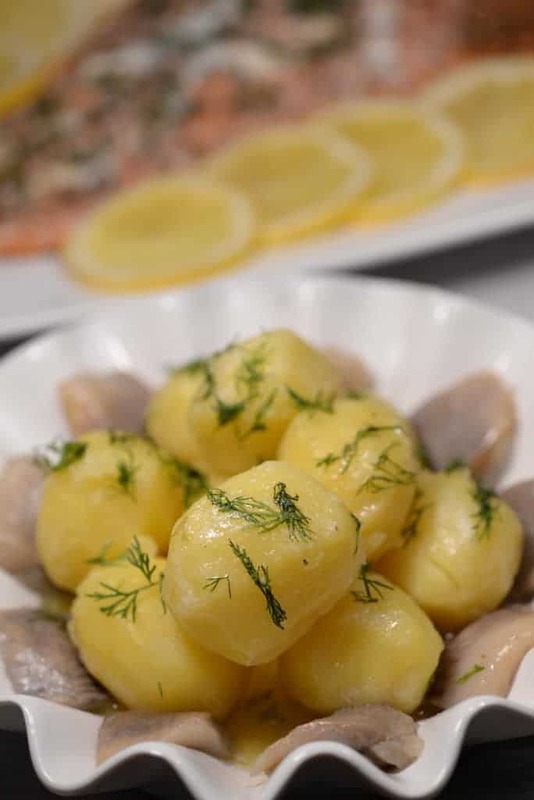 We served it with perfectly tender, baby, new potatoes and smoked herring, instead of pickled. To be honest, I am not a big fan of pickled herring but I love this smoked herring preparation! 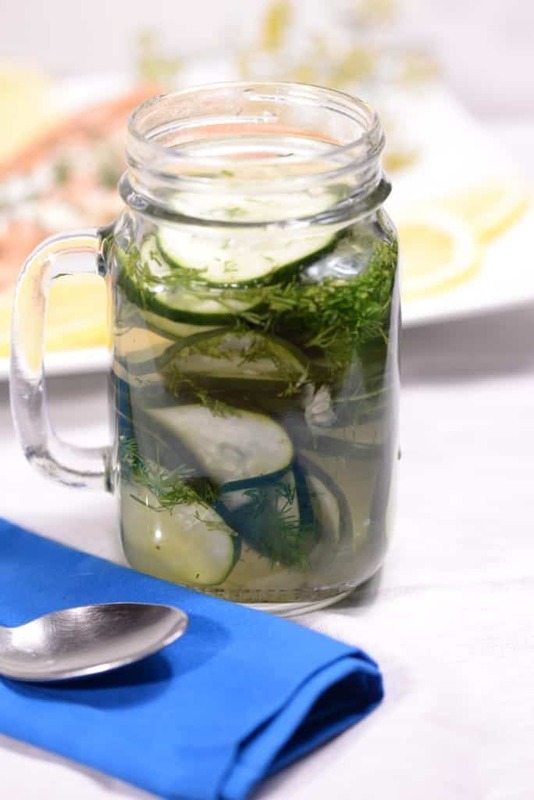 We toasted with another shot of Vodka and this time we said “Terveydeksi,” which means “To your health.” On the side we served Finnish pickled cucumbers; the taste both sweet and sour with dill; an herb used often in their cuisine. For dessert, we served rich knights. This is basically a French toast, smothered with whipped cream and fresh berries. 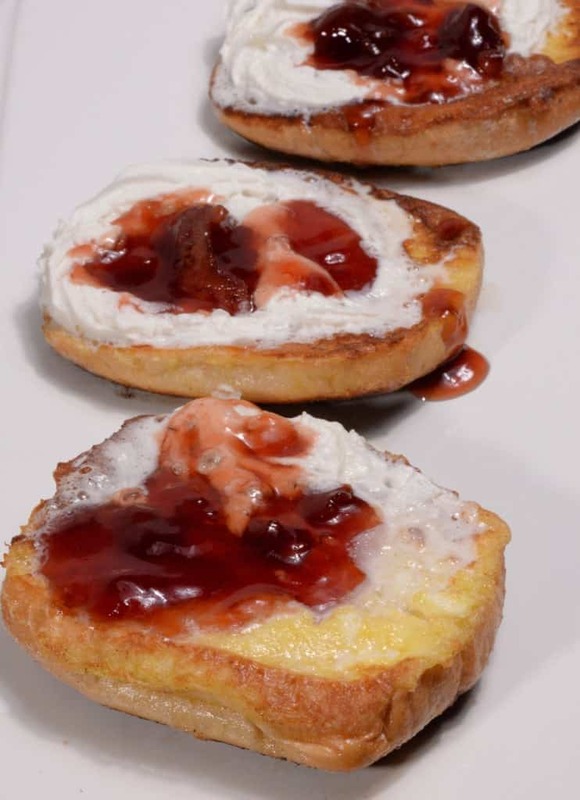 (If you just have the toast without the berries and cream they are called poor knights.) We savored them with a robust cup of coffee. The Finns are number one in many categories including consumption of coffee, so it was the perfect ending to our delicious, Finnish meal. Who knows maybe even Bescolini will give it another try! After diner, we were off to the sauna; by far the number one thing to do in Finland! Statistically, every household has one. A little switch of birch branches is used to splash cool water on yourself as you steam. Another toast waited for us and this time we said “Pohjanmaan Kautta” or “Bottoms Up.” After the sauna, we jumped into a cool lake and alas declared we were Finnish.